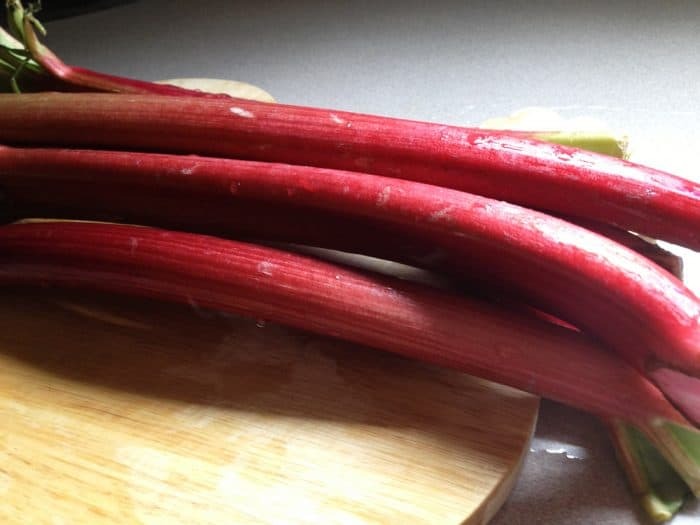 Two things I love: rhubarb and trying unusual things. 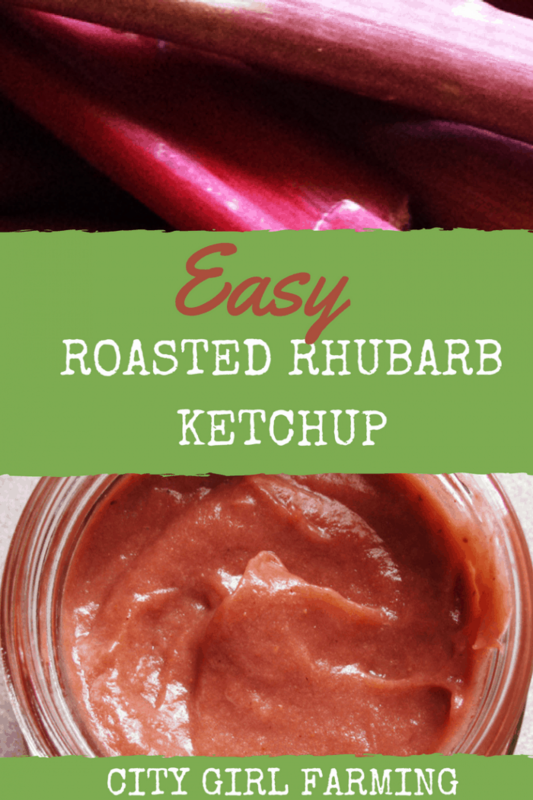 So of course I couldn’t resist something called “Rhubarb Ketchup”…hello! I stumbled upon the recipe over at Learn to Preserve. And I have to admit, I NEVER would have thought of something like this on my own—but I’m glad someone did. It’s a stroke of genius! 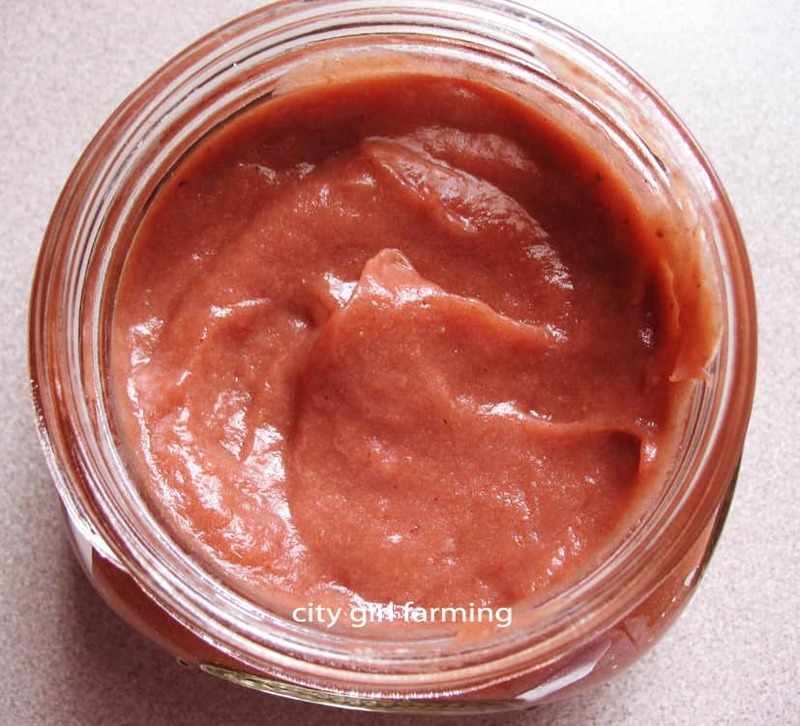 I pretty much followed the recipe posted over at learn to preserve, however, I’m also a bit of a whole fruit and veggie girl (that sounds better than a lazy cook, right?) so instead of doing all that food milling/straining stuff after I roasted it, I just dumped it all into my Vitamix and whizzed it to a smooth perfection. I added all the other ingredients (no stringy stuff remained!) and then cooked it the prescribed 20 minutes on the stove top. The second thing I’ll do different is add a bit of water. I think it was just ever so slightly too thick because I blended it all together instead of straining it. That extra fiber made it just a tiny bit thicker than I’d do next time. Not much. A tablespoon or two of water should do the trick. Of course, the thickness is the excuse I’ll use to hoard the batch all to myself. It’s so good, I just don’t want to share. At least not until I make a dozen more jars of it. Then, maybe, just maybe I’ll share it with someone I love. If they’re very, very good! GO FOR IT. It’s good. Tart, sweet, zesty and refreshingly rhubarb. Yum. It’s also beautiful. And a great idea for unique homemade gifts (if you’re willing to share it that is).